Make It Mondays: Light as a Feather, Heavy as Lead? First is a decor idea I have. I'd like to make a load of origami butterflies to cover a wall but........I don't have the time or the paper. I am settling for a little burst of butterfly on my desk. I am going to hang a few from the underside of my hutch just to add some fun. I love butterflies, they are very special to me. My great grandmother used to say she'd come visit as a butterfly so now every time I see one I think of her. 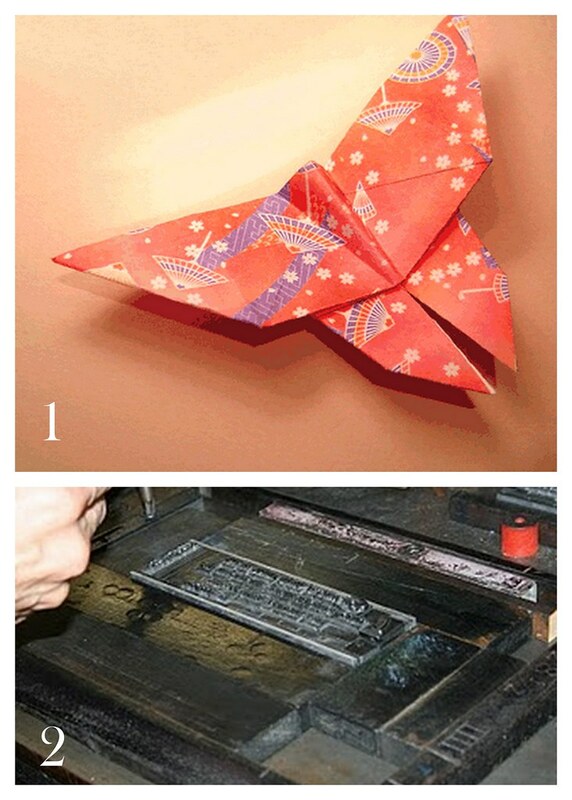 This origami butterfly is from origami-fun.com with full instructions! How sweet is that! Secondly, I have to set type for my print class. Yikes! Nah, I am not worried. I've seen it done (some of my friends are printmaking/book arts majors, so I think I have it in!). This image is from Letter Press Daughter. This blog seems so cool! 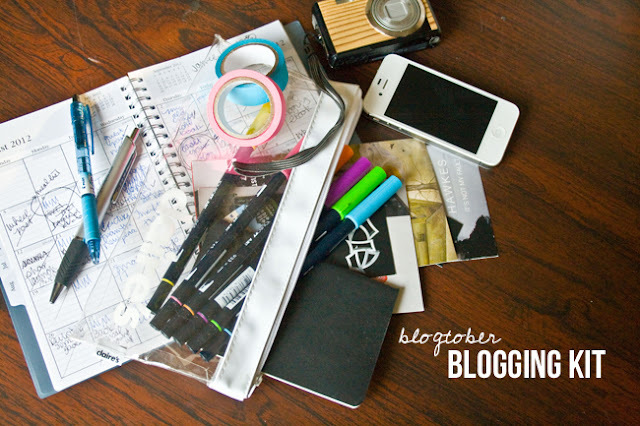 I love to look at people in their element & this blog follows a fun life. The first week of classes is over! I can't believe it! I can't believe this weekend went by so fast either. I was a bit of a slacker this week because it's just so hard getting back into the swing of things. Its also been HOT & I don't want to walk from my apartment to campus even though its just right across the street. This is a template I've made for my bookplate. 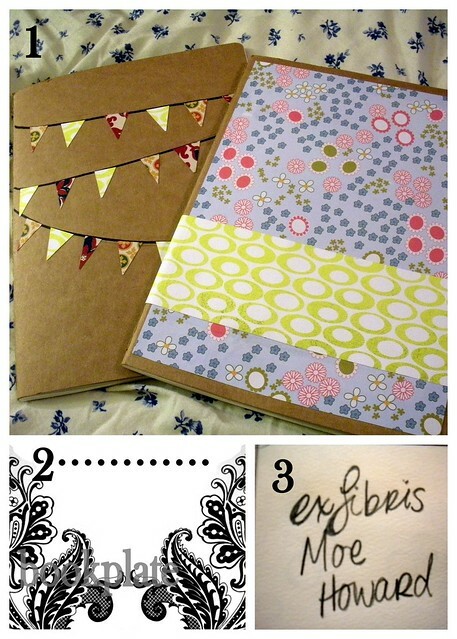 I collect scrapbook paper & used a design from it to make my bookplate. I love patterns & pattern papers. I like to have a collection of them to use for digital & paper art. Ex Libris: I decided to use my own hand writing for my bookplate. I liked type but I thought it'd be more personal with my own writing. I am going to scan it in & break it apart because my name is too close to the other text. Have you finished anything cool this week? 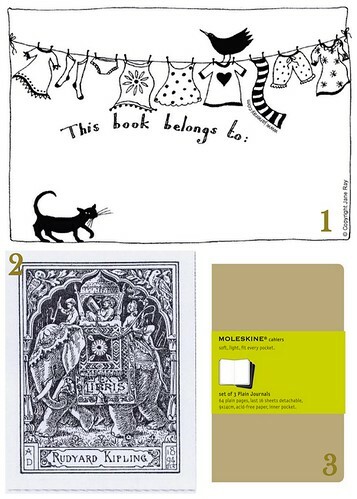 Also, do you use bookplates? I don't know how common they are now but I like them! p.s. Its Sunday night and being the slacker I am, I am heading over to the art building as soon as I finish posting this. Check out the parties in the side bar or click here! 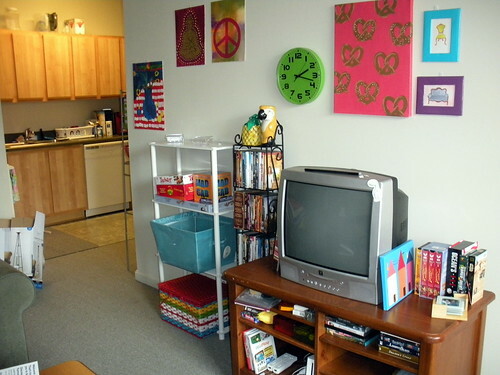 I am fully moved in! There are still boxes sitting around because I am too lazy to take them down to the dumpster but other than that it is all done! We have a couch & two chairs, a coffee table, two end tables, a big window just past that globe light there & the table in the foreground. Tv & tv stand, blankets kept in that bright picnic basket at the bottom of the white shelf there, games & DVD's, kitchen in the background. 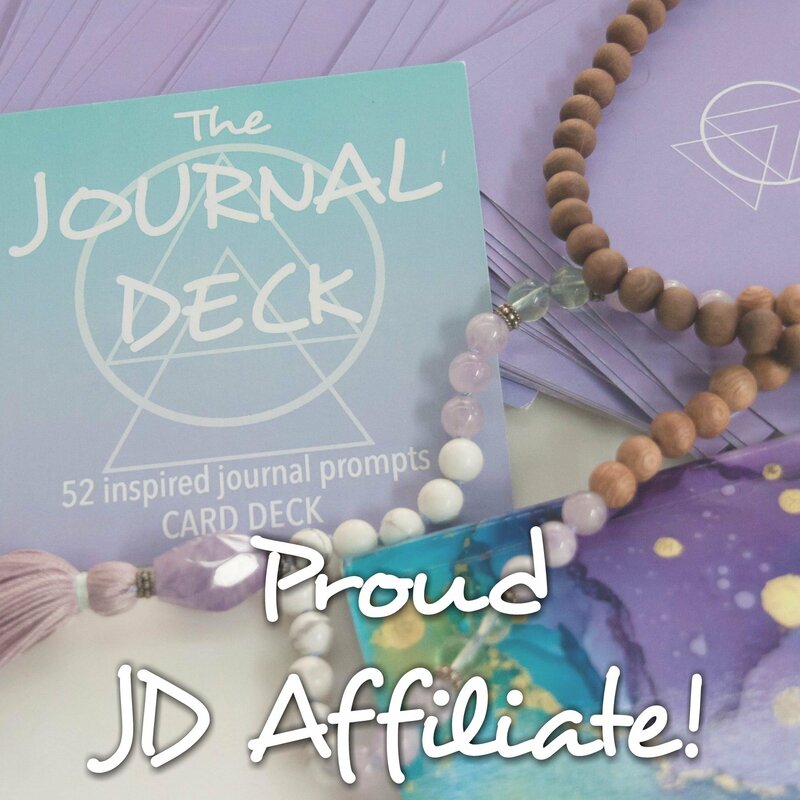 Check out weekly link parties here for some cool ideas! I am sorry I haven't posted today, I moved in around 11am and just stopped unpacking! The place was in complete shambles but hopefully I'll have some pictures up of my new pad. 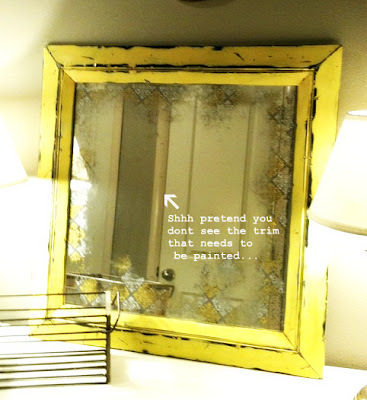 Over on Vintage Revivals (a really cool blog) there is an Anthropologie Mirror Knock Off Giveaway! Are you excited!?! I am! This mirror is gorgeous! It is 32" x 32", painted Sun Yellow & thoroughly distressed. 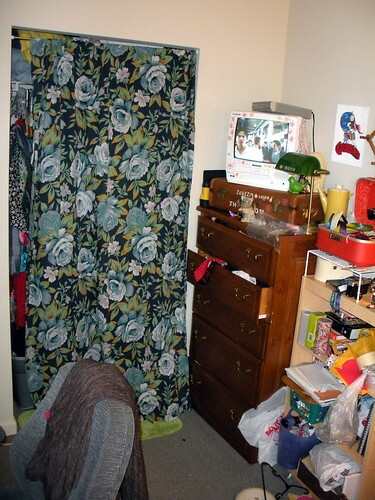 The fabric you can see showing through is a yellow, white, & gray damask tiled print. It happens to be a very cool print! So if you head over here you can enter the giveaway. Good luck to you all & don't forget to check out the rest of the blog! 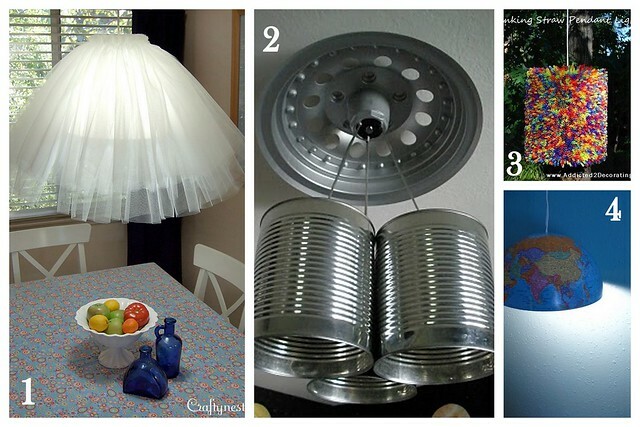 Her blog offers loads of DIY & Style inspiration, you won't be disappointed! First is a really cool organizational tool from Living Locurto. It's a blog weekly calendar! Ins't that the greatest? I need some of those. This 3D Fawn & Gnome Dolls printable from Fantastic Toys on Etsy. These are so cute! They would look adorable displayed on a shelf in a kids room. These gnomes better watch out! 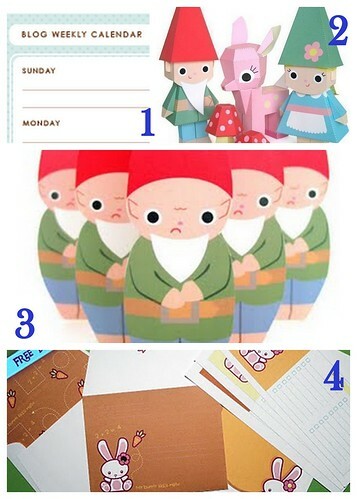 This gnome bowling set is free (along with some other cute printables included) from Fantastic Toys blog. I am in love with gnomes & cuckoo clocks right now. Is there a certain character you are in love with now? This week they are working on a cupcake shop & I am so excited to see how it turns out! 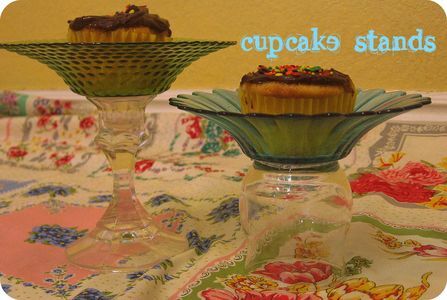 Remember this post about cupcake candles? I love it! This shop had loads of cupcake styles! check out that tutorial at Made by the Mamma Monster! I had to take this picture with flash to get all the detail. Its an old glass milk bottle I've had forever (I think someone in my family got it for Xmas with hot chocolate in it & I took it when they were done!) & some light blue paint I've had for probably the same amount of time. It was super hard to decorate the inside, I had to shake it & slap it against my hand to get it to spread around. I had a sore, sore hand. I like how it looks & I want to do this to loads of bottles now! Check out last weeks Make It Monday for the link & keep on the look out for part two of Sum Up Sunday! Check out these link parties for this week. Some awesome stuff! When I think of being eco-friendly, I always thought in the broader sense, tracing lines of sustainability back to companies, etc. When I see all the eco-friendly or recycled things in shops I think "Well, now how did that get there? oh yeah, it came on a diesel truck wrapped in plastic & stuffed with Styrofoam!" (Don't get me started on Styrofoam...I hate that stuff!) And I thought who is it to tell me to be sustainable when the companies advertising these items don't seem to be themselves? Well, I've changed my thoughts now. It's not just about every little thing it's about one little thing. There's nothing wrong with choosing to not support the sustainable efforts that are coming off wrong but there is something wrong with choosing not to be sustainable for yourself, your lifestyle, & your family. That may sound selfish, but these efforts often improve the home first. I rarely give into fads just because someone does it or because everyone is doing it or because it's the cool thing to do. I love the things I love because, well, I find them interesting and it just so happens that I've begun to find the things I can do at home to reduce consumption interesting because I know they will put pennies back in my wallet. I plan on bringing snacks or drinks in my purse that are in reusable containers. I will not buy cookies/chips/granola individually wrapped nor will I purchase them from vending machines. I will use my reusable water bottle instead of purchasing bottled water. I want to say that I will not buy any more coffee from coffee shops, but that may be harder to do. I do have a coffee cup with a top that I use when I make my own (which is nearly every morning) but do you think they will refill my cup? I don't want to have to buy one of their cups, you know? Thirdly, I will try to buy only what I need at the grocer. Usually I am just like, "Hmmmmm...this looks good." and it never gets used. I don't have much time to prepare fresh foods either, which is horrible. And, this may gross you out, I love the idea of reusable menstrual pads. They are made of soft cotton fabric on one side, a thick yet slim layer of absorbent material, & backed with a waterproofed material. I think these are great inventions! A big part of being sustainable/eco-friendly, to me, is buying & supporting handmade. I encourage all you you if you are taking an eco-friendly pledge to either make your own from scraps you already have or buy from small handmade businesses. It's just nice to support your trade & to support the handmade community. First are these great dryer balls to eliminate the use of dryer sheets in the dryer. 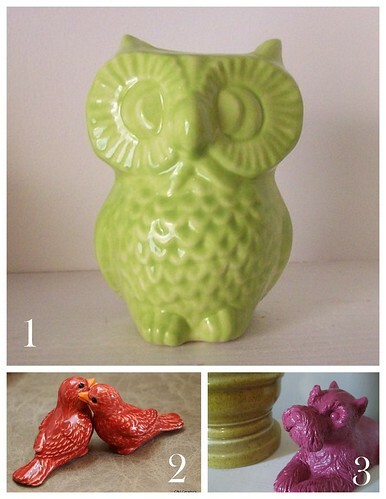 You can find these & other colors in Clean Sypria's etsy shop. This cute lemon-y snack buddy from Circus Peanuts is perfect for half of a sandwich or a small snack. This bright pattern will keep you cheery all year round too! This decorative bottle is a re purposed wine bottle painted with non toxic paint & then covered with hand punched (can you believe it?!?!) blue circles. 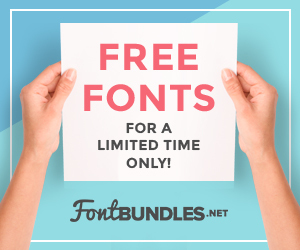 You can find this gem & a load more in Greencycle Designs shop. Finally is this sandwich bag from OYCreations Too. This bag is made from pretty fabric & (get this) fused plastic bags as the liner! How cool is that? It is sealed with a strip of velcro so crumbs don't escape. I love this shop because each item is made by senior citizens from recycled fabrics found at estate sales & thrift stores. I am in no way claiming that I will be perfect at all of these things but I know that change is what makes it stick so I am giving it more than the good college try...I am going to do it! If you've taken some steps to improve your eco-friendly efforts please share them. What have you changed to reduce your consumption? Thanks for reading! Chinoiserie is a French word describing a European reinterpretation of Chinese influence. 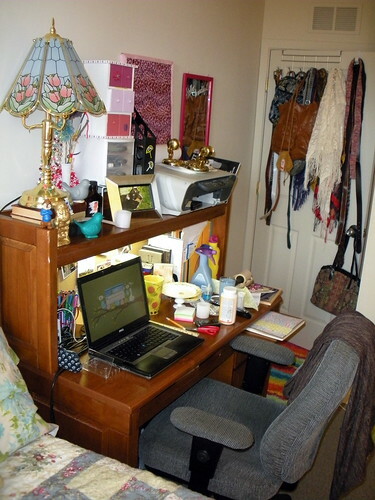 This is a great style to use in addition to other styles in your home. Using it as an accent piece will complement other styles in a room. 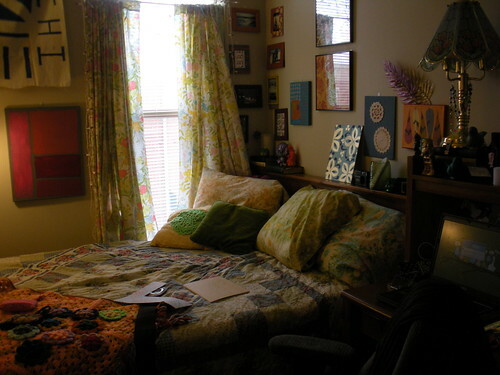 Use a piece in a common color scheme so as not to make the pattern stand out. 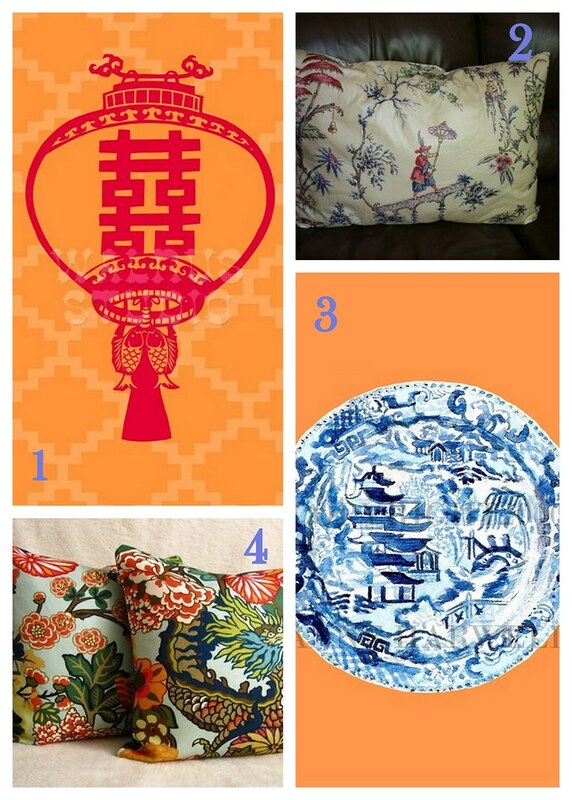 Use it on pillows in a formal dinning room, on your family room couch, or your bed, complement the plates displayed in your cabinets/walls with a bright pattern, & drink your morning coffee from a fun Chinoiserie coffee cup. I will tell you that you can find some really neat Chinese inspired decor at places like TJ Maxx, Marshals, Big Lots, Roses, Ross & AJ Wright -- all discount stores which I love! These stores are perfect for tight budgets (ahem...Dorm Dec....ahem) & perfect for little accents for apartments or big accents for homes. This Chinese Lantern Print from Walrus Studio would look great in a bright common room or a bedroom. A reversible pillow in a Chinese inspired fabric from Cristina Makes Things. Made from fabric from sustainable resources & reversing to a plaid back, this pillow is great for a small chair in an entryway. This cool blue print of an original gouache painting in Anne Chovie's shop is just the right amount of pop to be a great accent. There is an option to have this print on canvas, too! Finally are these two 18" pillows from Willa Skye Home. I love the bright & bold pattern! These pillows make a bolder statement than the pillow from Cristina Makes Things. Each are a specific style so choose accordingly! Do you have a favorite artistic style or period in art? And, have you used this Chinoiserie pattern in your home or apartment now? This cool Briefcase from Kibber. It features a spacious interior, big enough to hold everything you need. This Handcrafted bag from Chic Leather. It has one main compartment & a outside compartment. 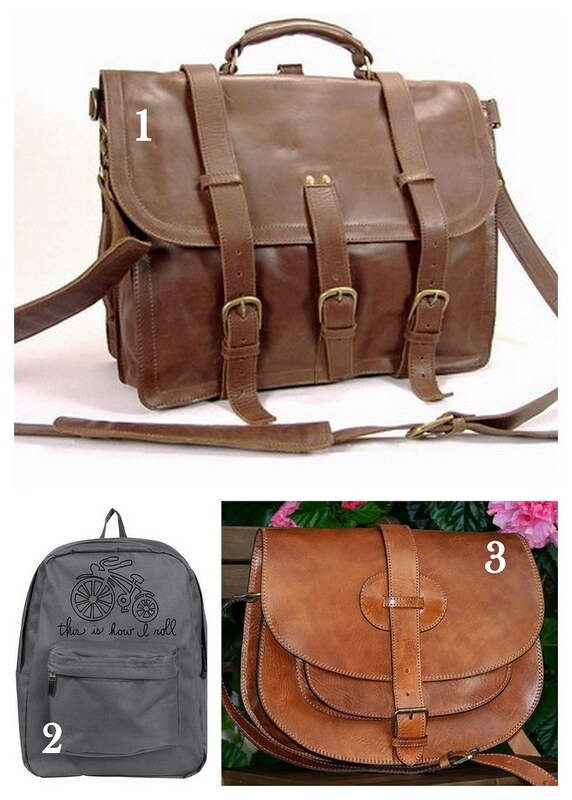 What are you getting for back to school? These few days have been restful. I've spent some quality time with the friends & the fam & am now ready to get back to work. I've been drinking the coffee recipe from last week's Make it Monday all week except for today when my sister & I went to the fabric store & passed a Dunkin Donuts. Their coffee is the best in town. No lie! First are these cool fringe necklaces made from old tee shirts on Love Maegan. I've got some old shirts dying to be remade & worn. I think they are sick of seeing the inside of a dresser! This is a great way to reuse old bottles & I have the perfect one! 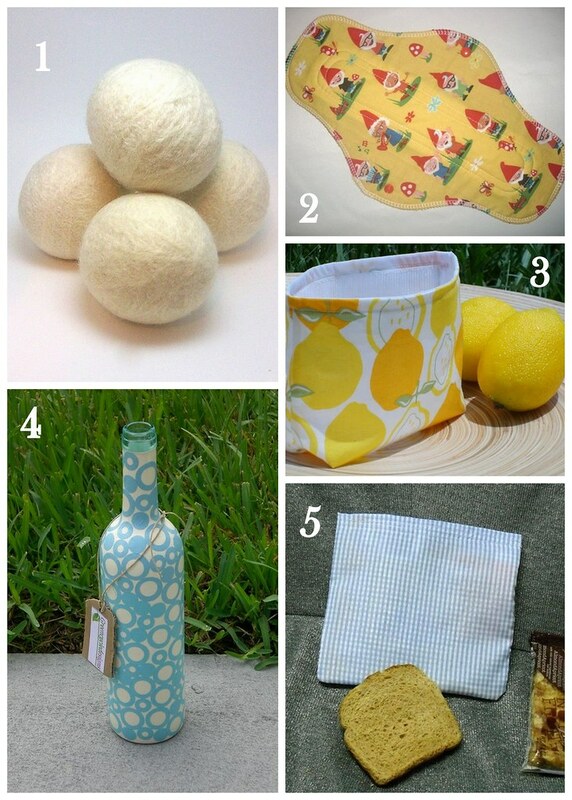 This tutorial is from Apartment Therapy. 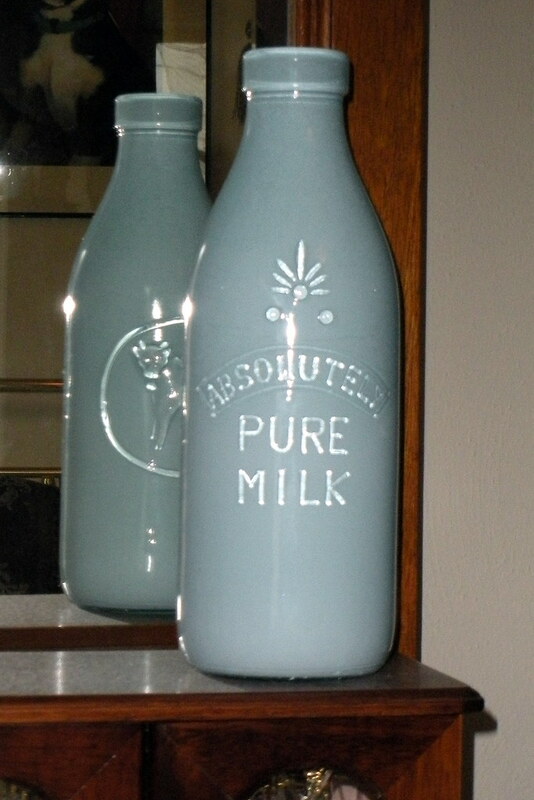 Take everyday interesting bottles & make them display worthy. Finally, this origami mobile inspiration from Green Laundry. 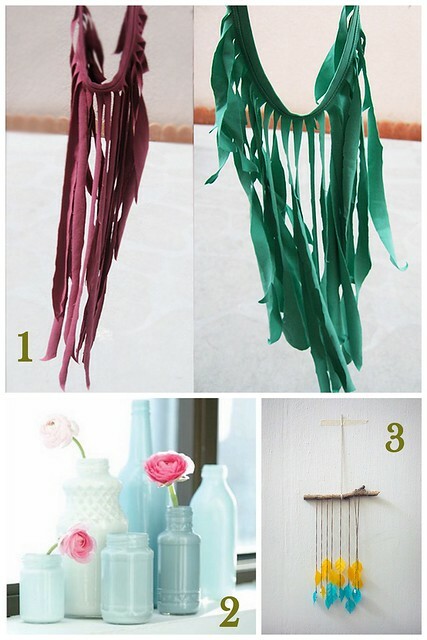 I love origami garland & mobiles so this is something I am excited to try! 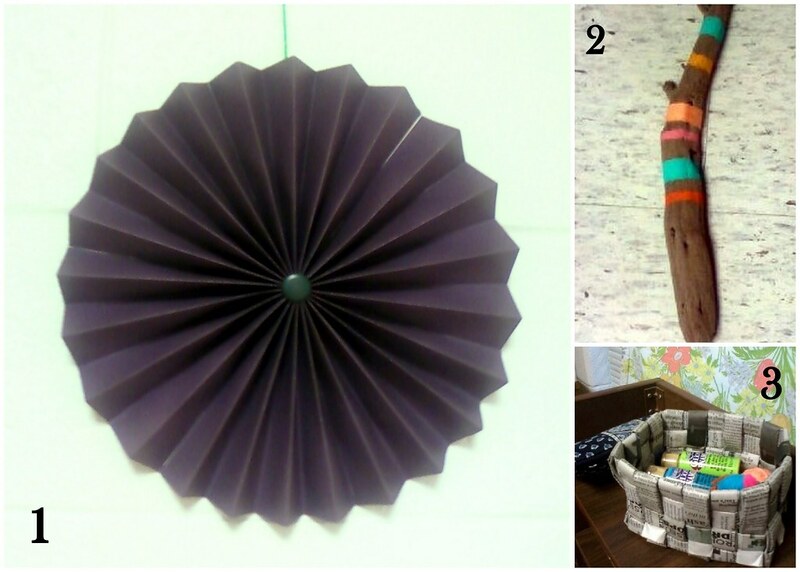 Have you made anything from the ideas from Make it Mondays? Share it here & comment on the original blog, I am sure they are dying to hear from you! Have you gone on vacation yet this summer? 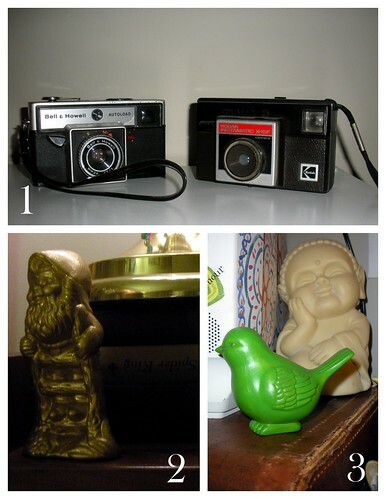 Recently, my sister & I went thrifting. There is only one thrift shop, or as I call it junk shop, where I go to school so I get thrift store withdrawal rather easily. I purchased some skirts, sheets & a new bag. My sister bought a new scarf, some dresses, a little bag for her ID, keys & debit card, etc, & a little bud vase. 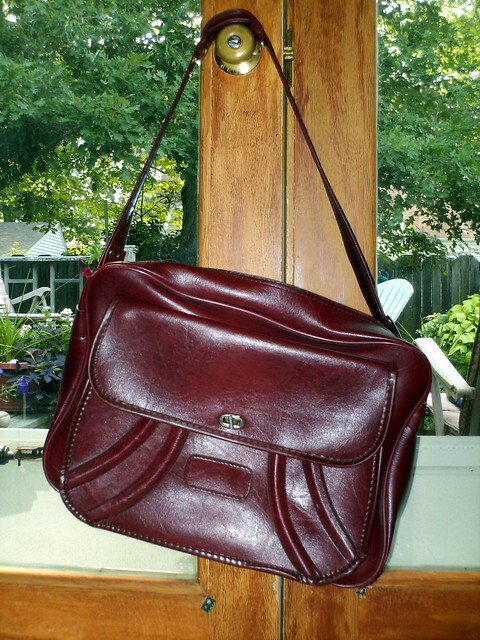 This bag is one of my all time favorite finds! 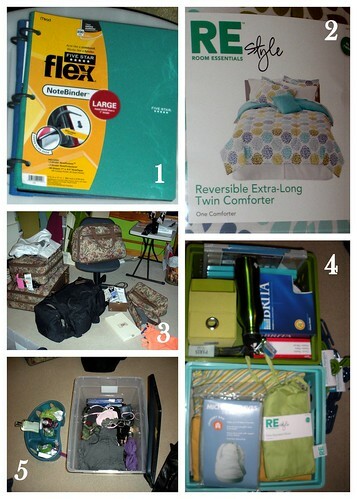 It will fit my laptop perfectly along with some books, a few art supplies, etc. You know, the usual campus stuff. None of the sheets on my bed match, ever. That is what I love the most! Color is so important to me & sleeping on a whole lot of it is so fun! 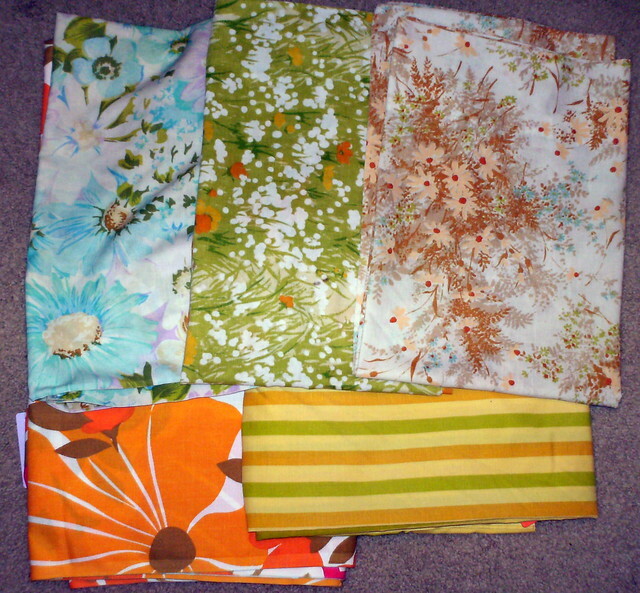 The bottom two sheets I thrifted with my sister & the top three are three of my fave pillow cases. I can't wait to get back to school to sleep in a large bed with fun sheets! What is your all time favorite thrift find? I apologize for the slim posting but being home & not having to work (paired with my room being slightly warmer than everyone else's) allows me to sleep until hours I'd never slept to before. This morning, or afternoon rather, I woke up at 12:15pm. Holy cow! This weeks Fan Fridays is about candles. Candles are perfect to add character to a room. Scented ones offer a freshening effect & can compliment a room's purpose. For the kitchen light a candle that smells like vanilla or apples, for a formal dining room a deeper scent may be more appropriate. Have a sun room over looking a gorgeous garden? Use a fresh scent or a scent of a flower you've planted. Candles also set the mood with the lighting itself. Pillar candles are great when a few of varying heights are arranged on a mantle or grouped around a room. 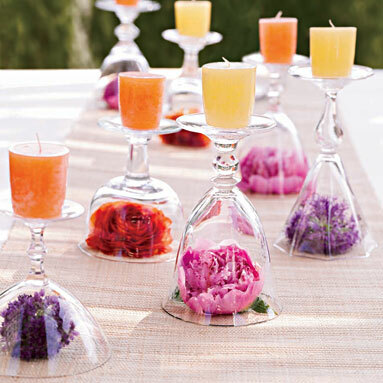 Large hurricane glasses that can fit a few candles create a more formal atmosphere. First are these Translucent Porcelain Egg candles in Revisions etsy shop. The light pours right through the eggs creating a surreal glow in a dark room. This cute little cupcake candle in Pina Colada is from Surgarville Candles etsy shop. I usually am a little freaked out by fake food, especially the small erasers shaped like food, but this is super cool! Perhaps because I have a love of Pina Coladas. This would look great on a little pedestal in a kitchen or perfect for a topper for a cake! Don't leave it lit too long though, I wouldn't want to ruin the shape it. 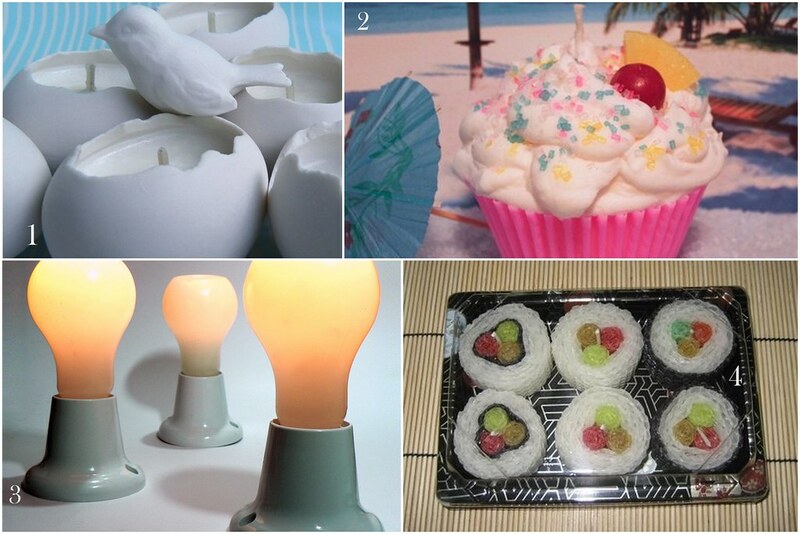 Third are these light bulb candles from Yanko Design. They are all wax with a little indent where the wick is. You insert the candle into the holder shaped like a light socket. How cool? Finally, these cute rolled beeswax sushi candles from Beeswax Candle Company's etsy shop. These are great! She suggests not to burn them in the container but its so cute to store them in! Perfect for the kitchen or to give as a novelty gift to a sushi lover. Too bad most schools bad candles in the dorms because I would have a ton! 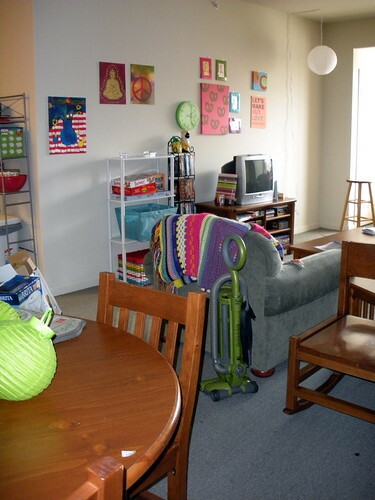 How do you arrange candles in your home or apartment? Do you change it up often? This Tulle Pendant Light from Crafty Nest would look adorable in a kitchen or a little girls room. And finally a pendant lamp made from a globe over on Project Create a Home. Great for a little reading nook. I am looking for a great DIY project pendant light for a string of icicle lights I have. I haven't found the right one yet, but I've found inspiration! 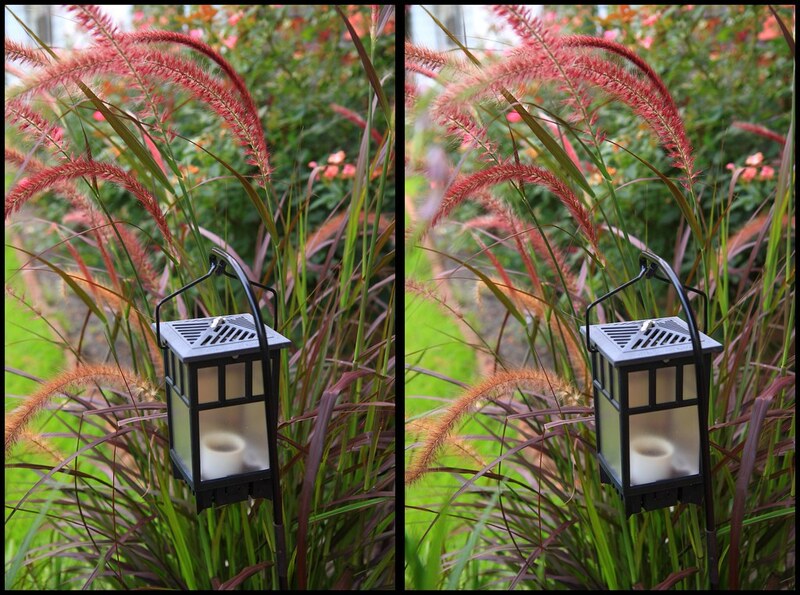 I mentioned earlier that my father is a photographer and he's recently come across something called stereoscope photos. 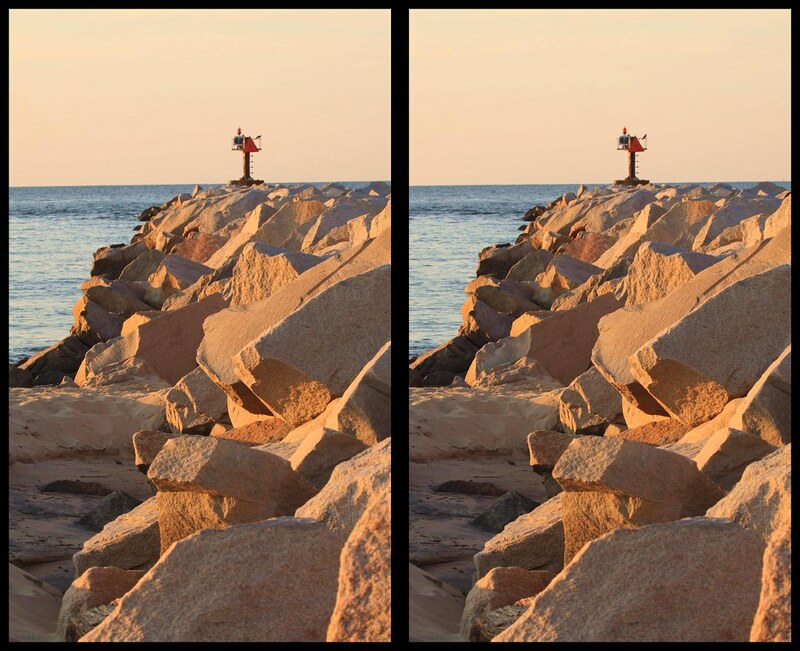 These photos are two images, shot about 40 millimeters apart that you combine visually by crossing your eyes. They are sort of like those images of the dots all over the place and when you stare at them long enough you see a scene appear in 3D. Thats what these do, you see the image in 3D after you've crossed your eyes and relaxed. Below are some examples of the pictures my father has taken. 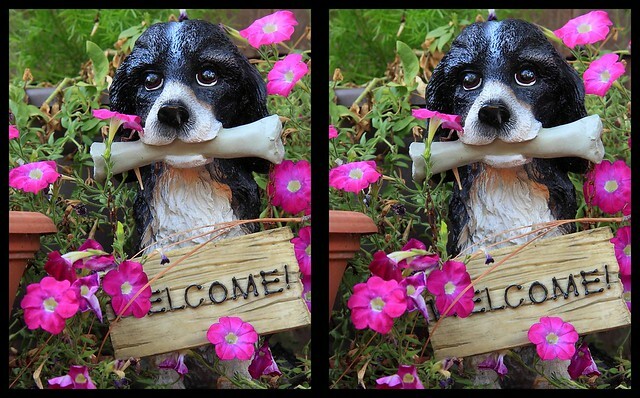 Go here first to read about and see a demo of how to see the photos in 3D. Then head back over here and check 'em out. You can click on the images to make them larger. It takes a bit of practice but the demo is really accurate! Since I, like I assume like most college students, do not have a car (although nearly everyone I worked with this summer did), I am patiently waiting for my father to pick me up from my last day of being on campus for work. I am leaving around 11am, which I thought would give me just enough time to pack & stay busy until he arrived. I woke up at 8am & was packed up by 9:30am. So much for keeping busy. So for now I am sitting in my bed, still with the sheets on it because I hate naked beds, watching youtube videos. I've found this one here that I am in love with. I've posted a few other videos on andyradofman's channel because they are so inspiring! I love hearing inspiring words spoken by a beautiful voice. And being alone is something I pride myself in. Well, not the fact of being absent of company, but being able to sit alone by myself. Most of the time I like being with my thoughts. I like to hang out with just me because I like to make things & unless I am in the studio its a lot easier for me to do it alone. If I make things around people sometimes they have the urge to comment or criticize before I've finished & I like to make my own mistakes & fix them myself. When I am done, then I will ask for an opinion. Don't get me wrong, I can take criticism & ask for it because criticism is how we progress. But what I do not like is someone assuming that they know better than I do when they may not understand the process or the reason or even what is actually happening. I've posted a few videos on Cross My Hooks but I can't find them right now. But go here & here to listen to these awesome songs/poems. It is now 10:03am....I only have an hour-ish to wait. Boy to I hope that my puppy comes too! "One thing?" you say. "Where's the rest?" you say. Well, truth is my mother is so picky with coffee & since I am going to my parents house I thought I'd be nice and not mix up some crazy stuff. I love different flavors & types of coffee, etc but my mother is very sensitive to smells so I can't do anything but make a straight up cup of coffee. This recipe doesn't need any flavors (though I am sure it would enhance it) so I am sure its a safe bet. Its also the simplest thing on the block. There might be a Make it Thursday in the works when I get home because I need to see what I can work with in & what I've kept there over the years. I still have a load of stuff to pack! I am such a pro-craft-inator (you see what I did there). Do you have any great coffee recipes? Any you've been dying to try? Isn't that gorgeous! Pick up some cheap-o glasses at the nearest dollar store & turn 'em over. Now you have a really cool cloche & candle holder! Now I am not getting married any time soon, now ma'am, but a lot of my friends are. I've been two one this summer & countless others have passed by that I wasn't able to attend. I also love wedding decor as everyday decor so this project is perfect! 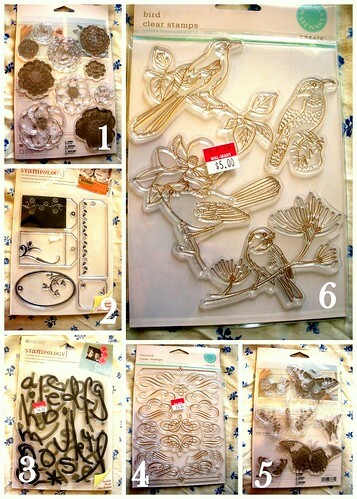 The article on Dollar Store Crafts offer 4 steps to a successful & cheap wedding. You don't have to spend too much & if you aren't as crafty as you'd like, get your family involved. There has to been on crafty cat in your tree somewhere. Head on over to the main page here to check out all the details & enter to win. Almost packed! And like I mentioned earlier (and on Cross My Hooks) I don't have a camera. So bear with the (dun dun dunnnn) camera phone shots! Oh no! Really though they aren't that bad. I've been able to work on some stuff this week while packing & cleaning up the campus for the school year. I've finished the newspaper basket but due to not being able to find magazines I could use or liked, I haven't made any coasters or place mats. Oh well, perhaps I will come back to them this coming year. 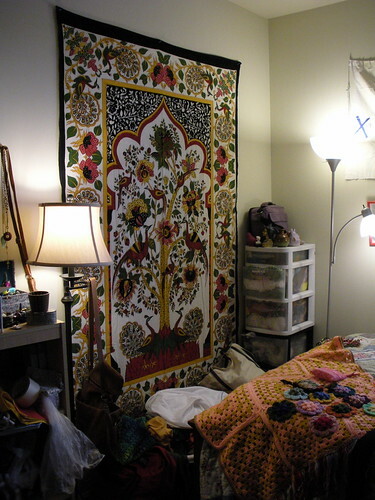 Here's the wall medallion, which I love! I will be making more because I love it so much! I will definitely have a tutorial later. It is actually super easy. I forgot to take a before picture of the painted stick, but I assume you can guess it was a stick sans the paint. The goal for this is either a jewelery hanger or a key catch all at our entry way. I am going to attach hooks to hold the keys/necklaces & little hangers on the back. I've painted it & wrapped parts in yarn. Its hard to tell which is which but the peach toward the middle & the green on the end are strings of yarn. I think it came out pretty cool. And the newspaper basket. I've got some pom poms, some paint, & some yarn in there for right now. It's going to get packed up in the next few days. These pictures came out better than I thought. I am summing up my weekend with a load of crime shows on MSNBC, man I am a weirdo!